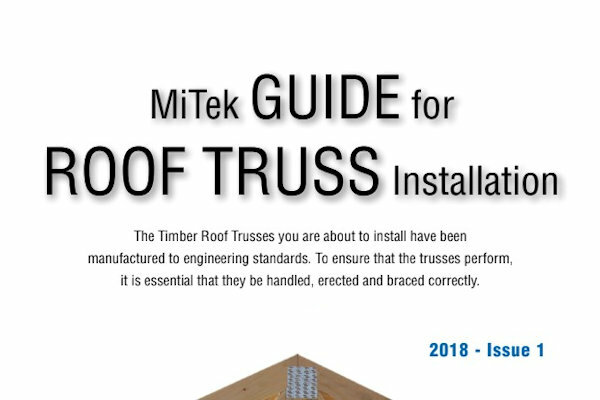 Many people believe all timber roof trusses are the same. Not the case! With the advent of powerful design software comes the ability for fabricators to “customize” this software to their own needs. It also means many design parameters and production methods can be set to minimum standards. At Engtruss we have set these parameters well above the minimum requirements and have in-house quality standards which have to be met. One important example of this is the bottom chord panel length of a truss (the length between web junctions). Design software will allow a 90 x 35 MGP10 bottom chord panel length of about 3.0mts! This is OK in the “perfect world”, however for transport, handling and ceiling fixing requirements, this length is not practical. 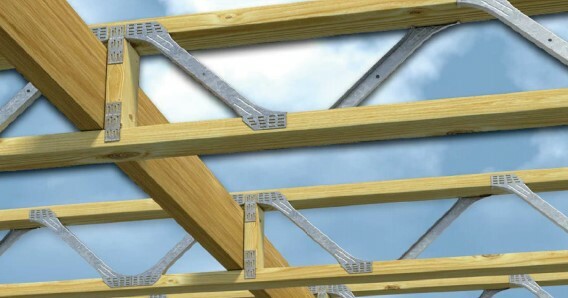 Engtruss’s bottom chord panel length will never exceed 2.75mt, giving you a stiffer, straighter ceiling line. 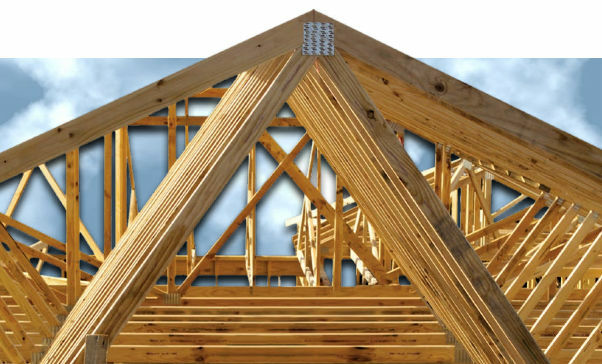 Floor trusses are treated with the same care, consideration and design minimum standards as our roof trusses. All floor jobs are custom designed with detailed layouts provided. No need for any site cutting or adjusting! 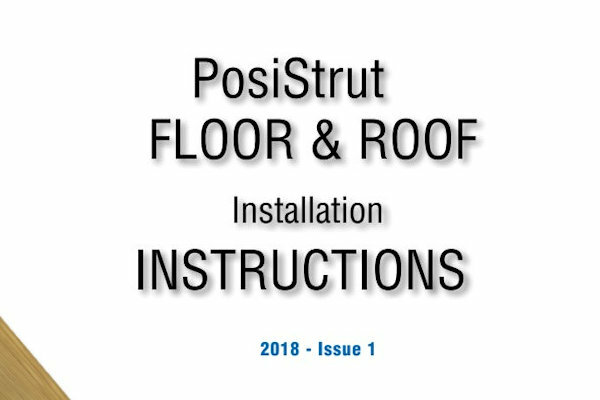 Along with the Posi-struts we can supply all timber beams, brackets and yellow tongue flooring as well, giving you a complete floor system. Although our main product supplied and recommended are the universally commended “Posi” floor truss (which incorporates timber chords with a steel “v” web), we can also offer a fully timber webbed floor truss, if so desired. A further alternative floor system we offer is a complete take off and quotation service of “Engineered Wood Products”. We are distributors of the Cater Holt Harvey products known as Hy-Span (Solid LVL) and Hy-Joist (I-beam product) plus the imported system known as Smart-frame also incorporating LVL and I-beams. 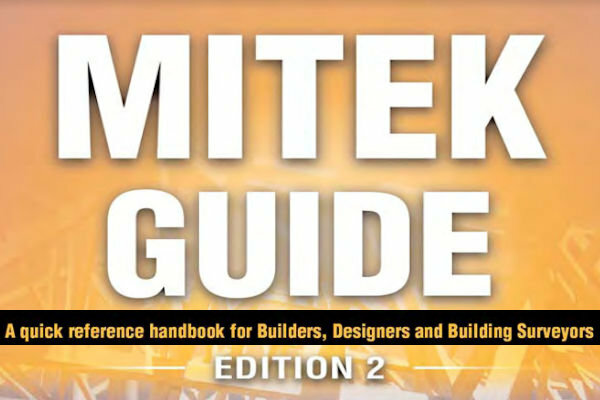 The powerful Mitek 20/20 is again used for detailing our wall frames and again they can be customized to your specification or designed to AS1684. All timber used is machine stress graded to Australian standards and all kiln dried to reduce movement. We use MGP10, KDHW F17 or LVL 13 lintels, all individually designed to ensure each and every lintel performs as it should. All angle braces and/or ply panels are factory fitted, with angle braces and 70mm noggins rebated to ease the job of following trades. Delivery of all products via our crane trucks, along with all necessary hardware and ancillary timber ensures you a hassle free project!